The Getty has announced the return of a 12th-century Byzantine illuminated New Testament. Details are scarce in the piece, other than a record in 1960 from the Monastary indicated the Manuscript was missing. The object was acquired in 1983 as part of a “large, well-documented” collection. The Getty is right to point out in the release that this is a voluntary return which came about as a result of the agreements entered into by the Museum as a result of other returns of illicit material. But one wonders about this other collection, if there are other objects in that collection which may be suspect, and how exactly the facts surrounding this return came to light. 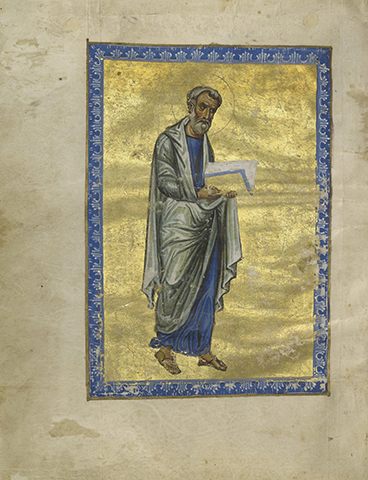 Press Release, The J. Paul Getty Museum Announces the Return of A Byzantine Illuminated New Testament to Greece, http://news.getty.edu/press-materials/press-releases/byzantine-manu-to-greece.htm (April 7, 2014). Some cultural repatriation news from my neighborhood. The Menil has announced that it will return the byzantine mosaics frescoes currently housed in a custom-built chapel here in Montrose in Houston. In 1983 Dominique de Menil was offered frescoes from Cyprus. After a rigorous due diligence inquiry, it was discovered that the mosaics had been looted from Cyprus. And in a groundbreaking move, she worked with the theft victim, the Greek Orthodox Church of Cyprus to purchase the mosaics, to restore the damage done to them when they were looted. 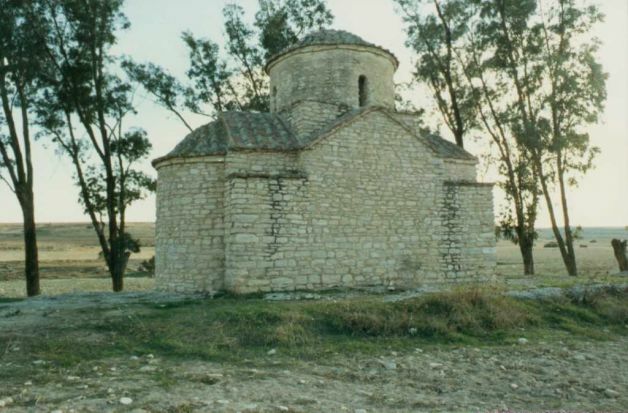 The mosaics have been displayed since 1997, but next year they will return to Cyprus to go on display in a new museum, though they sadly cannot be returned to the original church, for fear it might be disturbed again. When we consider when this decision took place, in the 1980s during an era in which so many wealthy collectors bought so much looted art, this long-term lease and ‘rescue’ of the frescoes really stands apart and should be commended. I haven’t read this in any of the reporting on the Menil, but I’ve wondered whether there is other art at the Menil which might have been acquired under suspect circumstances. In the antiquities room in the Menil there are a number of works also purchased during this period which might be suspect—red-figured vases, small pre-historic carvings of deities, cycladic figurines. The kinds of objects that were ubiquitous in the market in the 1970s and 1980s, and which we now know were likely looted. These objects may have been lawfully acquired, but its an indication of just how many objects were looted and sold to collectors at this time, and how far law, policy, and behaviors have changed. So I’ll cheer the return of these mosaics, and their responsible stewardship but I also wonder, should other objects go back? Douglas Britt, Houston’s Menil is returning holy artworks to Cyprus – Houston Chronicle Houston Chronicle (2011), http://www.chron.com/life/article/Houston-s-Menil-is-returning-holy-artworks-to-2186452.php#photo-1621133 (last visited Sep 27, 2011). 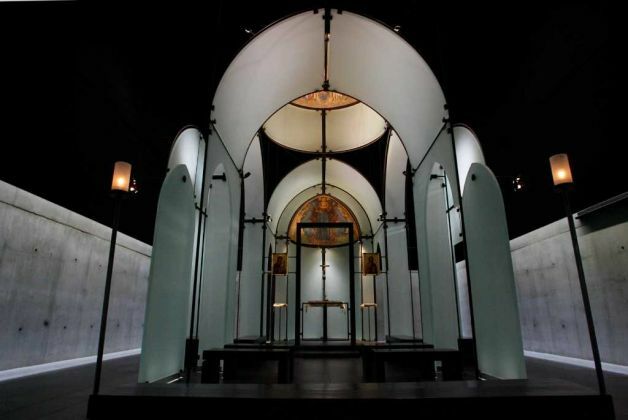 Bill Davenport, Space-Age Chapel Will Need New Art: Menil’s Byzantine Frescos a Go-Go Going Glasstire (2011), http://glasstire.com/2011/09/24/space-age-chapel-will-need-new-art-menils-byzantine-frescos-a-go-go-going/ (last visited Sep 27, 2011). Elisabetta Povoledo, Menil Collection Is to Return Frescoes to Cyprus, New York Times (2011), http://www.nytimes.com/2011/09/24/arts/design/menil-collection-is-to-return-frescoes-to-cyprus.html?_r=1 (last visited Sep 27, 2011). Kelly Crow, Houston’s Menil Collection to Return Frescoes to Cyprus The Wall Street Journal (2011), http://online.wsj.com/article/SB10001424053111903703604576587072924927678.html (last visited Sep 27, 2011). Six stolen Byzantine-style icons have been discovered in London near the Greek embassy. The plundered art was revealed after a telephone call from a woman claiming to recognise one of the icons – a famous rendition of the Virgin – on the website of the Temple gallery in west London. 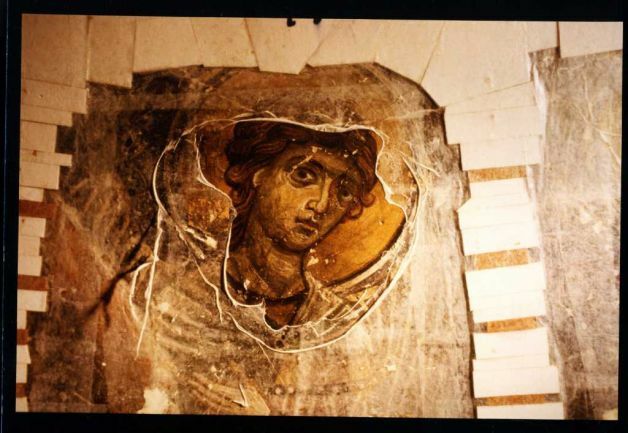 Further investigation showed that the immaculately preserved gold-edged painting was among six icons reported missing from Greece that the specialist was selling for up to £5,000 each. Richard Temple, who owns the gallery and is acknowledged as London’s foremost dealer in icons, said that when he bought them he had “absolutely no reason” to suspect they were stolen. So Mr. Temple blames the sale on another unnamed dealer, who was also “duped”. Another unfortunate example of incomplete history. If the dealer was in fact duped he would have a remedy against the unnamed dealer. Helena Smith, Stolen Greek relics found in London | Art and design | The Guardian, The Guardian, March 20, 2011, http://www.guardian.co.uk/artanddesign/2011/mar/20/stolen-greek-relics-in-london (last visited Mar 21, 2011). David Nishimura picked up on a couple of major seizures last week in Paris and Moscow which indicate the illicit trade in antiquities is still going strong. First, the BBC reports that in Paris over 650 Malian objects were seized at the Charle de Gaulle airport (see picture from BBC). The artifacts included axe heads, flintstones, and rings. Most of the objects dated from a couple thousand BC, however some may have been over 200,000 years old. These objects should soon be returned to Mali, however the archaeological context surrounding them is of course lost. There is no word on what may have alerted the French authorities to this shipment. It seems there were “[looking] out for artefacts being exported from specific countries such as Mali”. A similar story from from Moscow: MosNews reported last week that Russia’s “cultural watchdog” agency had seized Byzantine-era items from Turkey. Some of the objects appear to have been taken from the Museum of Anatolian Civilizations in Ankara back in 1963. Both shipments were seemingly on their way to American dealers and collectors.